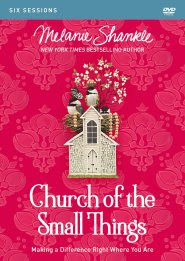 Here we are less than a month away from the Barn Sale and I'm so excited that Y-O-U can finally get your hands on (or if you pre-ordered) already have in your hands Melanie Shankle's Church of the Small Things! This book was a companion many days at lunch and many late nights- until it was finished. 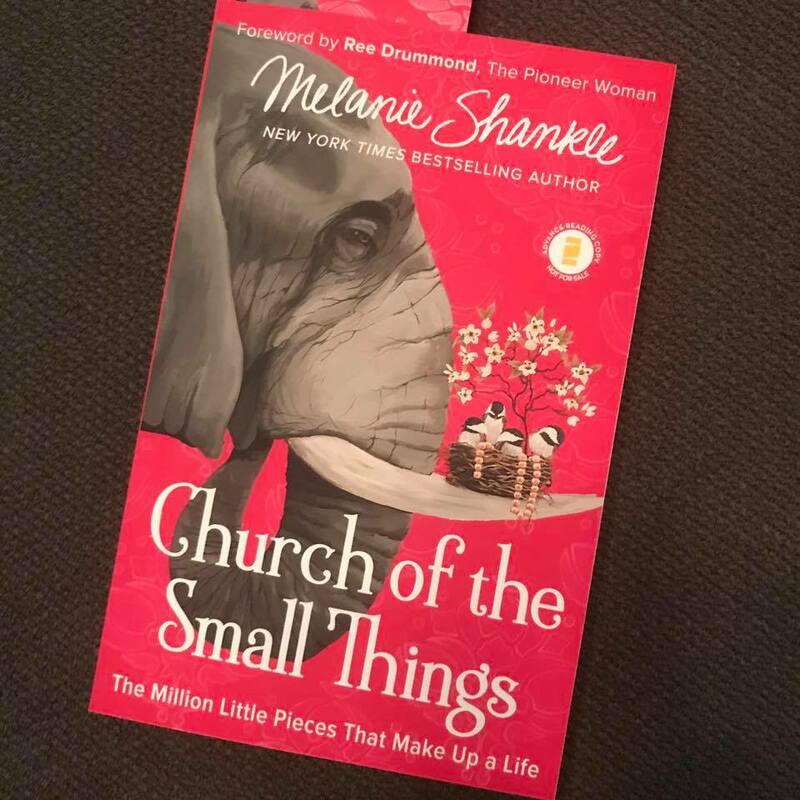 As with her other books Melanie invites you into her day to day life- shares stories that so many of us can relate to; we laugh, we cry, we laugh louder and we Amen some moments! Y'all- We are ALL at different places in our lives- there is Not a single One- zip- zero of us that is Perfect or has a 'perfect' life according to Worldly standards. I've learned well over the years to not 'worry' about Worldly standards because they won't get me to Heaven. I'm more concerned with where my future is for the long haul than where I will be next year at this time. I've never been one to compare myself with the Hollywood type- I don't want to be a 'type' - I want to be who God created me to BE and where he wants me to BE!
" be the same person at home that you are out in the world"
I had a Really hard time at one point this summer when someone who has never met me spoke to me in a way that I've never been spoken to- and let's just say it wasn't complimentary. I had offered my 'skills' learned from participating and serving in clubs and organizations over the years for an event and it was taken and heard in a completely different tone than the one I gave it in. I cried and struggled with the words lashed at me for a while- but a very special person in my life that was at this event told me that they knew my heart. Y'all- those words lifted me up- filled my cup. Let me tell you- I did not offer help to get credit, be glamorous, get recognized or anything that the world might say to do- I did it to be Faithful to a group that my family has been part of for a V-e-r-y long time. My family and friends know my heart and how I love to help and serve when I can, Yet someone tried to take that from me. I want my kids and others around me to see my heart and know my character- one of servitude, grace, leadership, love, compassion and most importantly Truth.-Whether at home or in public- My kids hear me talk on the phone, see me interact in public places, watch me serve in our church, our 4-H Club, attend Board and Commission meetings with me, hang out with family and friends together and most importantly- spend all day with me every day-and see and hear that I am striving who God created me to be- My character cannot be stripped from me- no matter how disrespectful someone speaks to me. 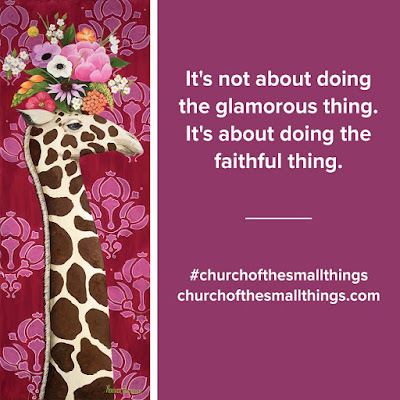 I continued on the Faithful path the rest of that event- still offering my services to help- because it's about doing the Faithful thing. 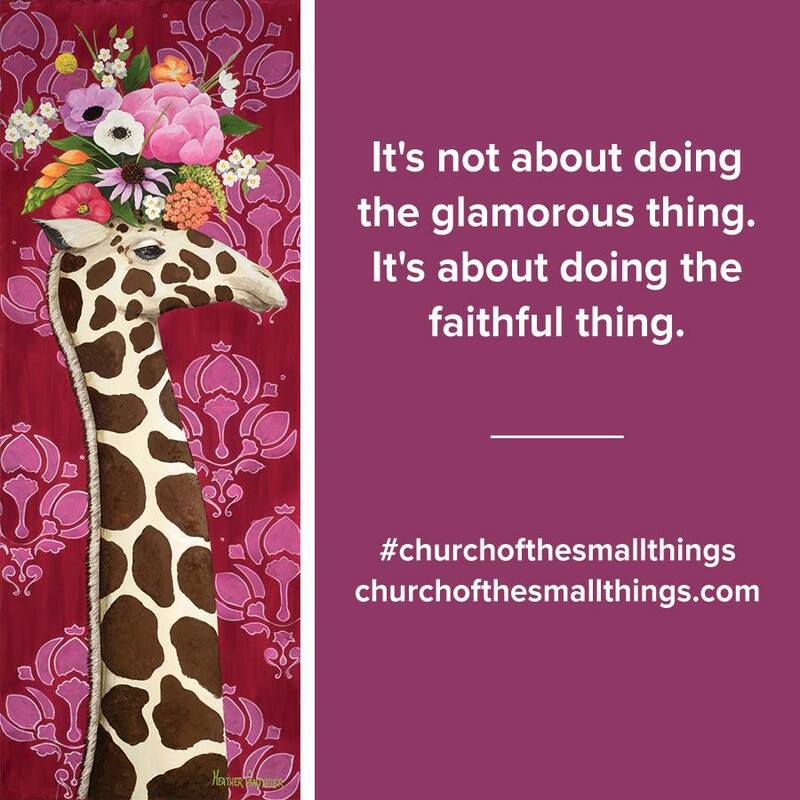 I value what others see in me and know of me, because I am a child of God and all the little things that I do everyday will add up to be Big things to my kids (and maybe others that I've influenced) some day! I absolutely L-O-V-E having my kids with me Every single day. 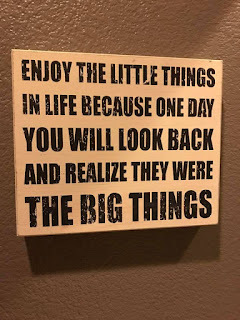 There are SO many Little things that happen with them Every- Single- Day and I have to remind myself that these days are fleeting and one day I'll look back on Life and Realize- They were the Big Things! 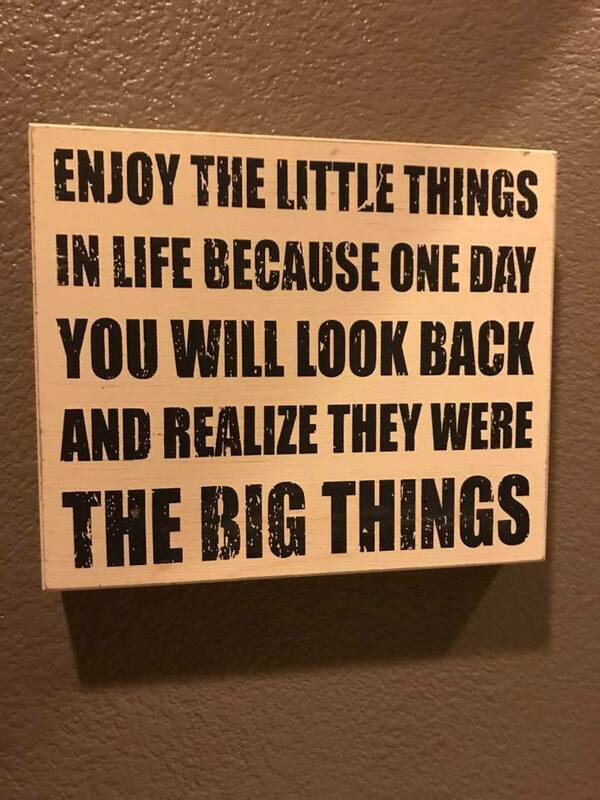 So see it works both ways- they watch me make choices and I watch and teach them about making choices. Making a Difference Right where I am, Day in and Day Out....... it's not always easy, but it's worth it. From Melanie "we are called to be the light of the world, a city on a hill. In the days when Jesus spoke those words, a city lit up on a hill would have been a haven for weary travelers, a welcome sight and an indication that they were nearing a good meal and a warm bed to sustain them for the rest of their journey. I want our kids to be a city on a hill, a safe harbor for those who need refuge in the midst of life's storms. The only way I know to accomplish that is to allow the love of Christ to take hold of our hearts and the hearts of our children so we can show each other how to find a way home when we are lost, to hold out hope when we see someone is hurting, and to celebrate how our differences enable each of us to shine our own unique ray of light in the midst of a dark night." We are trying to teach our kids these values by living them ourselves. I've had the love of Christ shown to me multiple times- and it's with pleasure that I try to be that light on a daily basis. Please take time for yourself- get a copy of this book (several retailers have it! )- and maybe even the Video Study with Guide which I plan to do with some neighbor gals that all attend churches of different denominations- and some that don't even attend Church. While you are at it- grab Melanie's other books too- you will be glad you did if you like to laugh, cry and AMEN at true life stories! Click this link below to get a glimpse into Melanie's other books! See you in a Month- At the Barn!